Democrats are writing their responses to President Trump before he speaks and MSM is writing the news before it happens. 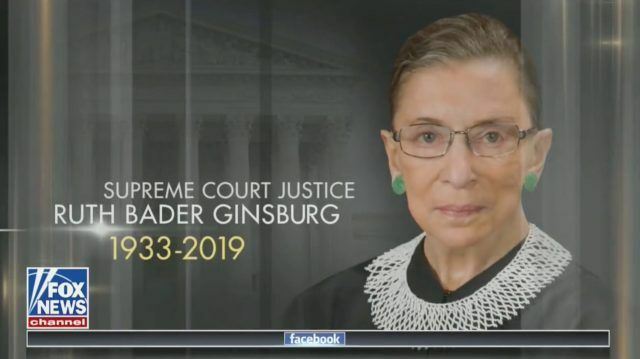 Fox and Friends says they accidentally broadcast a graphic showing Supreme Court Justice Ruth Bader Ginsburg is dead. They later apologized and blamed a control room error. Some have even speculated that Ginsburg is already dead as she is now allowed to continue to work at home with no proof that she is actually still alive. Or, she could be just barely alive and a democrat could be “doing her work” in her room as she desperately clings to life. “We apologize, big mistake,” co-host Ainsley Earhardt added. Ginsburg, 85, is working from home as she continues to recover from surgery to remove cancerous nodules from her lung. The court announced that there is no evidence of remaining cancer and Ginsburg is expected to return to the bench. She missed oral arguments this month for the first time in her over 25 years on the bench. The cancerous nodules were discovered during Ginsburg’s brief hospital stay after falling in her office at the Supreme Court. The health scares have raised concerns among her supporters, especially amid reports that the White House is preparing for her eventual departure or death. What do you think? Is Ginsburg already dead and hiding the fact so the democrats can postpone the selection of a new SCOTUS? Do you like Liberal tears? Are you pissed off at Facebook for censoring Conservatives? Go ahead and share this post to Facebook and VKontakte, it will really piss them off this time! Michael A Heath Sr. on Should BuzzFeed Be De-Platformed For Publishing Fake News? 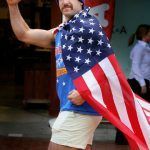 Red State Nation is an online magazine that contains articles and videos about current events in the United States and worldwide. We are not a news organization and we do not claim to be a source for news, but rather a publication that provides articles discussing the news and other topics of interest.